Post traumatic stress disorder solicitors – How to start a No Win No Fee PTSD claim? Post traumatic stress disorder is a serious disorder and can manifest itself in different ways, depending on the person it has affected as well as the incident that has caused it. Whether you have suffered PTSD as a result of being in combat, or as a result of a serious accident, or even due to abuse you have been subjected to, specialist PTSD solicitors could help you make a claim for compensation. This guide tells you all you need to know about PTSD lawyers and how you can start a claim for compensation with an experienced specialist solicitor. What is a Post traumatic stress disorder solicitor? Can my post traumatic stress disorder solicitor file my compensation claim against my employer? I work in the emergency services – can I claim compensation for PTSD? Can my post traumatic stress disorder solicitor file my compensation claim against the military? After I start my claim with my PTSD solicitor, what would I then need to do? I suffered PTSD following a car accident – do I have a claim? How long do you have to claim for a Post traumatic stress disorder? Can I get free advice from a Post traumatic stress disorder lawyer? What is the benefit from using a specialist post traumatic stress disorder solicitor compared to a non-specialist solicitor? Why choose us as your claims service for a post traumatic stress disorder claim? Post traumatic stress disorder, often shortened to PTSD is a complex and debilitating disorder. It can be brought on by extremely stressful and often upsetting events. Whilst PTSD is commonly thought of as something only those in the military suffer with, it can also occur after a car accident, assault or if you have been a witness to something horrific. For this reason, service personnel such as the fire service, the police and ambulance service, as well as military personnel make up a large portion of the population that has, or still is suffering with PTSD. Whether you are a member of the armed forces, or work for the police, ambulance or fire service, or not, PTSD can have long-lasting effects on your health and can cause you financial loss, especially if you are forced to miss work because of your PTSD. If you are suffering with PTSD after a traumatic experience that happened within the last three years, then it may be worth you contacting PTSD personal injury solicitors to see if you might have a valid claim for compensation. A PTSD injury solicitor is a trained lawyer who has experience dealing with claims that involve Post traumatic stress disorder, or PTSD. They will have gained knowledge through their experience in their field, and will have specific experience of the complexities that come with not only making claims for post traumatic stress disorder, but also for filing claims for service personnel, since they make up the larger number of PTSD claimants along with military personnel. Your employer is duty bound to protect you while you are in the course of your working duties, both mentally and physically, and if they have failed to do so, then you may be able to make a claim for compensation for injuries you have suffered as a result of this. Whether you have witnessed a traumatic event, or been involved in one and have developed PTSD as a result, if your employer is found to be liable, then you should be able to make a claim for compensation with PTSD at work solicitors. Police, fire crews and ambulance personnel jobs are demanding, and sometimes extremely unpleasant. Research published in 2016 revealed that one in every 5 police officers is at risk of PTSD, and ambulance staff and fire service personnel are at high risk too. Whilst the courts have, in the past, been reluctant to award compensation to those who have chosen to take on this difficult role, due to there being more awareness of PTSD and its long-lasting and highly debilitating effects, this is beginning to change. There have, in recent years been PTSD compensation payouts for some ambulance workers whose employers have not been deemed to have been supportive of the PTSD suffered as a result of their role. If you believe your PTSD was directly caused by your employment, then it is worth getting in touch with our experts in PTSD who should be able to advise if you have a valid claim for PTSD compensation. Military claims can be a little more complex than some other personal injury claims, particularly when it comes to PTSD. However, it is possible to make a claim against the military if they are found not to have protected or supported you during your time in service. To build a solid case against the military, you will therefore need to prove that your PTSD has developed directly because of your military service, as well as proving that you were not promptly diagnosed and treated. Alternatively, you will need to prove that your PTSD developed due to the negligent action of the employees of the Ministry of Defence, or the MOD themselves. Specialist solicitors with experience of PTSD claims against the military will know the ways in which this can be proven and will work hard to secure the strongest possible case for compensation before presenting it. As every case is very different from another, and cases are assessed on their own merits, when you start your case with a No Win No Fee PTSD solicitor, they will explain the No Win No Fee service to you, making sure that you know exactly what is expected. You will not be required to pay legal fees upfront to begin a PTSD compensation claim – all legal fees will only be due once a successful award has been given. If your claim does not result in a compensation award, you will not be expected to pay legal fees. Once you have reviewed and put your signature on the No Win No Fee case agreement, then your solicitor will more than likely arrange for you to go to a medical appointment with someone who is seen to be impartial. This appointment will usually be arranged somewhere local to where you are based so that you will not have to travel too far to attend it. At the appointment, the professional will likely take a medical history from you, before asking you questions to determine the severity of your PTSD. They will then write up a medical report, which will be used as part of the evidence that supports your claim for compensation. Car accidents can be very serious indeed, and many people suffer PTSD based partly around the fear that they had at the time that they were going to die in the accident. If you have suffered flashbacks, panic attacks, depression, panic attacks, social anxiety or feelings of detachment from reality, it could be that your crash has caused you to develop PTSD. Just as with any physical injury, if you have suffered PTSD due to an accident that was not your fault, then you should be able to make a claim for compensation for PTSD after a car accident. Specialist PTSD solicitors will be able to assess your case and make a recommendation on whether it is likely to lead to a payout. A specialist PTSD car accident solicitor will then be able to work on your behalf to lodge your claim. In order to make a claim for PTSD compensation, you will need to have acted within three years of the date of the event that caused your PTSD in most cases. However, there are exceptions, particularly if your PTSD was not diagnosed quickly. If a child has developed PTSD, then as an adult in charge of them, you can also make a claim on their behalf within this three year of the event limit. Alternatively, they may make a claim within three years of the date they turn 18 on their own behalf. If you are unsure whether your PTSD can be claimed in your case, why not speak to our experts in order to find out. Whilst many people believe that getting free advice from a solicitor is not possible, that is not the case. By calling our team of PTSD experts, you will be able to ask all the questions you want about making a PTSD claim including what it involves, how long it takes, and how much compensation is typically awarded for cases like yours. Whilst we cannot guarantee a specific payout, we do have guide amounts that we can give you a general idea on. Whatever your question, and whatever the advice you are given, you will not be under any obligation to act on it, nor will you be put under any pressure to make a compensation claim should you not be ready to do so. As previously mentioned, PTSD claims are extremely complex, particularly when you add in factors such as claiming against the military, your employer or even CICA (for victims of violent crime). 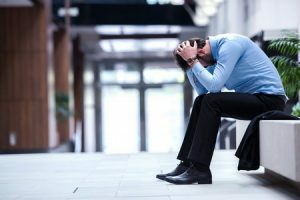 Solicitors for post traumatic stress disorder will be able to wade through this mass of complexities, drawing on experience from previous cases to provide the strongest case possible, giving you much more of a chance of getting the maximum compensation payout possible for this debilitating disorder. They will also have much more of an idea of how PTSD can affect a person, thereby giving them more of an idea about the way in which you have suffered and the effect that it has had on your life. Choosing a solicitor that does not specialise in these types of cases, carries somewhat of a risk. If they were not up to date on the latest legislation, or have experience of cases similar to yours, then there is a possibility that mistakes could be made or information overlooked that could lead to your case being deemed unsuccessful. We would therefore always advise that you choose a solicitor with experience relevant to your specific circumstances as well as your condition. Whilst there are many different events that can cause PTSD, there are two main areas that are more common than others. Firstly, it is quite common for military personnel to suffer PTSD, especially if they have seen active service. Whilst there was once a stigma attached to speaking out about mental health conditions, PTSD in the military is no longer a ‘secret’ battle that soldiers have to face. With more support available to military personnel than before, as well as much more of an understanding of PTSD and the effects that it can have on service personnel, claims for PTSD from those who have served their country in The Army, the MOD, RAF, or the Royal Navy are more common than they were before. The other common cause of PTSD that specialist solicitors work on is violent crime. This involved in most cases filing claims to the Criminal Injuries Compensation Authority. Many victims of violent attacks have been known to suffer PTSD, and whether it is a physical or a sexual assault, it is vital that you choose a solicitor that has experience in dealing with CICA as well as one that understands your PTSD, as this will mean they are able to put together a claim that shows a true picture of your suffering as well as backing this up with legal arguments to gain you the compensation you deserve. Other cases involve PTSD accident solicitors that work on compensation claims for those persons who have developed the condition after an accident. When it comes to PTSD claims, often, the claimant will have lost money in terms of loss of income from being away from work because of their symptoms. This can lead to a worsening financial situation that will not leave many people in the position to afford legal bills. Therefore, some PTSD specialist solicitors work on a No Win No Fee basis, in order to not let this situation preclude those suffering from claiming the compensation they deserve. In general, No Win No Fee arrangements require no monies upfront from the claimant, instead taking the legal fees from any settlement that is reached upon completion of the claim. If the claim is found not to be successful in obtaining an award for the claimant, then they will not be expected to pay for the legal fees out of their own pocket, so taking action will not be likely to make their financial situation any worse, and in most cases, will help considerably towards their financial situation. This is because No Win No Fee PTSD solicitors will only take on cases that they believe will lead to a favourable result for their client. If they do not feel your claim is likely to lead to a payout they will inform you, in order that your time – and their time – is not wasted. If you are looking to speak to experts who truly understand PTSD, its effect on a person’s relationships, mental health and ability to work, then using our claims service could be the best choice you make. We are experienced in dealing with even the most traumatic cases, asking questions to ascertain the facts, whilst also being sympathetic and understanding. We do our best to take as much stress as possible out of making a claim for compensation, whether it is against the MOD, CICA or your employer. We will fully explain the benefits of doing so, whilst also addressing any concerns you may have, especially when it comes to claiming from your employer. We will explain the legal rights you have to be treated the same as everyone else at work, whilst and after you make a claim, and we will explain where the funds will come from for your payout. If you are claiming against an employer for example, they will more than likely have liability insurance that will settle your claim. Whatever the questions you have regarding your claim, we will work with you every step of the way to ensure you understand the process, the timescales and we will keep you up to date with the progress of your claim at all stages. Thousands of satisfied previous clients will testify to the fact that we put you first at every part of your claim. We are also proud to say that we work with some of the best PTSD solicitors in their field, who have fought and won compensation for people in similar positions to you. Whether you are ready to start a claim and want to begin as soon as possible, or you have some pressing questions about certain aspects of the claims process, there is only one number you need. By calling 0800 073 8804, you will be connected to a trained expert who will be able to give you the answers to any questions you may have about making a claim. Whether you want to know more about who you will be claiming against, how it can be proven that your employer would be liable, or want to know more about making a claim against the MOD if you have suffered PTSD during or after active service, we will take the time to answer any question you have for us – no matter how simple or complex it may be. If, on the other hand, you have decided that you would like to make a claim, we will help here too. We will take the necessary details from you and advise you on the next steps to ensure you are well-informed about what happens next. Either way, you have nothing to lose by calling us to enquire about PTSD compensation claims, so why not do so today? The government can issue a fine if you have not informed them about certain medical conditions that can affect your ability to drive. PTSD can affect driving, so it is essential to read the information here and complete an M1 form if necessary. This guide, published by the NHS, gives details on PTSD, the symptoms, how it is treated and also offers a brief history on PTSD. Our detailed guide to PTSD claims offers guidance and advice for those who have suffered or are suffering with PTSD, including a PTSD claim calculator and want to make a claim for compensation for this condition. Please note that the PTSD claims compensation calculator works as a general guide and does not guarantee claimants the exact sums mentioned.